Some people would rather deal with one direct party rather than an indirect one when it comes down to buying things, but lucky for Sprint customers, they’ll soon be able to simply charge their accounts for any Android Market purchases. Following after T-Mobile and AT&T respectively, Sprint is now the next in line to make available to its customers the ability to charge purchases made through the Android Market, directly to their Sprint account. Although it has been rolled out in various stages since April 7th, it should eventually become an option to everyone by tomorrow, April 14th. Interestingly, Corporate Liable customers are automatically opted out from taking part in this new offering, but they can simply reverse it by calling up Sprint customer care or by opting in through their web site. Naturally, it makes the app purchasing experience a little bit more streamlined – especially when you only have to deal with Sprint. However, you’ll still need to contact either Google, or the 3rd party provider associated with your purchase, for all refunds. Yeah I was reading this at androidandme.com. It's cool just make sure if you have teens to opt out of this or your bill might not be so fun when you have to pay it. 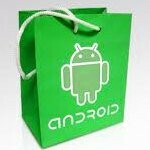 TEENS have sense of money & if gone uncheck, they WILL download the whole Android Market. Please be warned!!! Is that why I cannot download apps off the market anymore? Teens will NOT but everything on the Market! I'm 13, I got the Moto Cliq 2 a month ago, and I've only bought $3 worth of things on the Market. And with everyone in my class having Androids, the most I've ever heard someone downloading was $25 worth. So you need to get your information checked out. Teens are not that manipulative! Geez!